Averi is a sweet little girl who was born in December 2014. During her mother’s pregnancy, it was discovered through an ultrasound that Averi would be born with a condition called gastroschisis. Gastroschisis is a birth defect of the abdominal wall. The baby’s intestines are found outside of the baby’s body, exiting through a hole beside the belly button. Soon after Averi was born, she was scheduled to have surgery to place the organs back inside of her body and to repair the hole in her abdominal wall. As a result of Averi’s intestines being exposed to amniotic fluid during the pregnancy, a large portion of her intestines were damaged beyond repair. This condition is called short bowel syndrome. Surgery was postponed, and Averi spent the first two weeks of her life in intensive care. Averi was required to have an IV line so she could receive nutrients, be given antibiotics to prevent infection, and carefully monitored to control her body temperature. Several surgeries were required to eventually place Averi’s bowels back into her body and to repair what was left of them. Because of her severe short bowel syndrome, Averi experiences many medical challenges mainly concerning her diet. The right diet is key in helping her body absorb and maintain the nutrients it needs to grow. Unfortunately, most of what Averi consumes just runs right through her. She is required to take a specific medication that works as an aid to slow digestion. 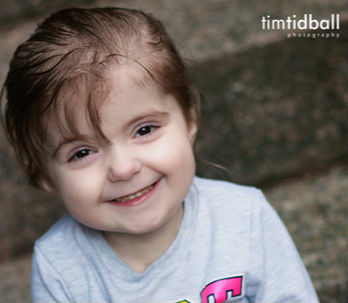 Averi is now four-years-old and has had over 100 surgeries. She lives with a very severe medical condition that is affecting many of her organs. She is currently undergoing intestinal rehab, and the hope is that the rehab will allow her to become a candidate for a small bowel and liver transplant. Averi spends many hours traveling to hospital appointments in Oregon and California. She receives many ultrasounds that monitor her bowels and other organs. Despite all the medical challenges, Averi continues to be a sweet and loving child. She is a fighter and has proven to be such a strong and determined little girl. Averi adores her daddy, and also enjoys music. Her favorite color is blue, and she loves to sing and dance. Averi will be adopted as a Sparrow to North Valley High School. Students at NVHS will work hard to raise money for Averi through sponsored community service and fundraising projects.